Thus, the crisis of the Vatican Empire is presented as the crisis of a model of the Papacy and ecclesiastical government which are deemed inadequate for the twenty-first century. And, supposedly, the only way out would be a process of “self-reform” that would save the institution, but distort its essence. In reality, what is in crisis is not the “monocratic” form of government proper to Church tradition, but the system of government created by the post-conciliar reforms, which over the last fifty years have expropriated the Papacy’s sovereign authority and redistributed power to bishops’ conferences and to an all-powerful Secretariat of State. Above all, Benedict XVI and his predecessor, though very different in temperament, became victims of the myth of collegiality in government — in which they sincerely believed — and, as a result, they failed to assume many responsibilities whose exercise could have solved the problem of the Church’s seeming unmanageability. The perennial relevance of the Papacy resides in the charisma which is proper to it: the primacy of government over the universal Church, whose decisive expression is the infallible Magisterium. Some say that Benedict XVI has not properly exercised his governing authority because he is a meek and mild man, without the character or physical strength to cope with this grave situation of unmanageability. And, they continue, the Holy Spirit has infallibly enlightened him, suggesting that he make the supreme sacrifice of resigning the Papacy in order to save the Church. Such people fail to realize, however, how this claim humanizes and secularizes the figure of the Supreme Pontiff. The government of the Church is not based on a man’s character, but on his correspondence to the Holy Spirit’s divine assistance. 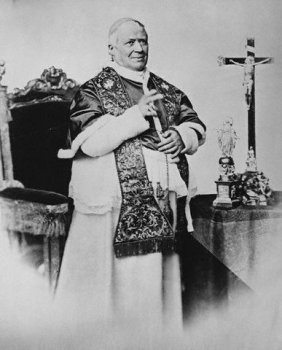 Blessed Pius IX corresponded more perfectly to grace, and ascended to the heights of sanctity, by heroically exercising the papal government. 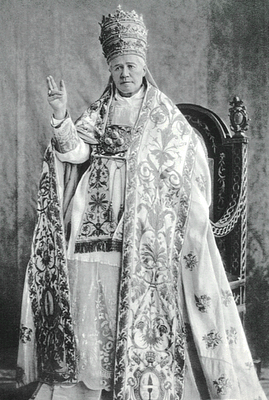 The Papacy has been occupied by men with an imperious and warlike character like Julius II, and a mild and amiable temperament such as Pius IX, but it was Blessed Pius IX and not Julius II who corresponded more perfectly to grace, and ascended to the heights of sanctity, by heroically exercising the papal government. The idea that a weak and tired Pope should resign is not supernatural, but naturalistic, for it denies the decisive help that the Holy Spirit provides to the Pope — an assistance that was improperly invoked above. Naturalism transforms this point into its opposite: a fideism of a pietist nature, whereby the Holy Spirit’s intervention absorbs human nature, and becomes a regenerating factor in the life of the Church. These are ancient heresies, and they are re-emerging now, even in more conservative circles. The increasingly popular error is to try to justify every decision taken by a Pope, a Council or a bishops’ conference based on the principle that “the Holy Spirit always assists the Church.” Certainly, the Church is indefectible because — thanks to the assistance of the Holy Spirit, the “Spirit of Truth” (Jn 14:17) — she has received from Her Founder the guarantee of perseverance until the end of time, in the profession of the same faith, the same sacraments, and the same apostolic succession in government. However, indefectibility does not mean that infallibility extends to every act of the Magisterium and government, nor that the supreme ecclesiastical hierarchy is incapable of sin. In the history of the Church, Pius XII explains, “there has been an alternation of victories and defeats, rises and falls, and heroic confession [of the Faith] with the sacrifice of property and life; but among some of her members there have also been falls, betrayals and divisions. The testimony of history is unambiguously clear: portae inferi non praevalebunt (Mt. 16:18); but others attest to the fact that even the gates of hell have had their partial success” (Speech With All My Heart, Sept. 14, 1956). Despite hell’s seeming and partial successes, the Church is not shaken by persecution, heresies, or by the sins of Her members, but rather draws new strength and vitality from the severe crises that befall Her. But while we should not become discouraged by errors, falls, and defections, we must not deny them when they occur. Was it, for example, the Holy Spirit who inspired the decision of Clement V and his successors to transfer the seat of the Papacy from Rome to Avignon? All Catholic historians today agree that it was a seriously flawed decision, one that weakened the fourteenth century Papacy, and paved the way for the Great Western Schism. Was it the Holy Spirit who suggested the election of Alexander VI, a Pope whose conduct before and after his election was profoundly immoral? No theologian, no Catholic could argue that the 23 cardinals who elected the Borgia Pope were enlightened by the Holy Spirit. And if that did not happen in his election, one can imagine that it did not happen either in other elections and conclaves that picked weak and unworthy Popes who were inadequate to their high mission as well. Such events did not diminish the grandeur of the Papacy. The Church is great because she survives the pettiness of men. Thus, an immoral or inadequate Pope may be elected. 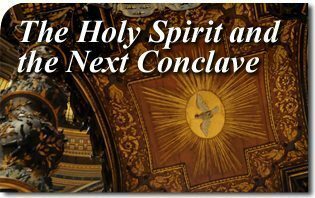 It may happen that the cardinals in a conclave reject the Holy Spirit’s influence, and the Pope, who is assisted by the Holy Spirit in carrying out his mission, refuses this help. This does not mean that the Holy Spirit is defeated by men or by the devil. God alone is able to bring good out of evil, and thus, Providence guides every event in history. In the case of the conclave, Cardinal Journet explains in his treatise on the Church that what the assistance of the Holy Spirit means is that even if the election were the result of a bad choice, one can be certain that the Holy Spirit, who assists the Church by drawing good even from evil, allows this to happen for superior and mysterious purposes. But the fact that God draws good from the evil done by men, as happened with Adam’s original sin — which brought about the Incarnation of the Word — does not mean that men can do evil without guilt. Every sin must be paid for, either in this life or in the next. Every man, every nation, every ecclesiastical assembly must correspond to grace, which needs human cooperation to become efficacious. Faced with the process of self-demolition of the Church mentioned by Paul VI, one cannot sit on one’s hands in a state of pseudo-mystical optimism. 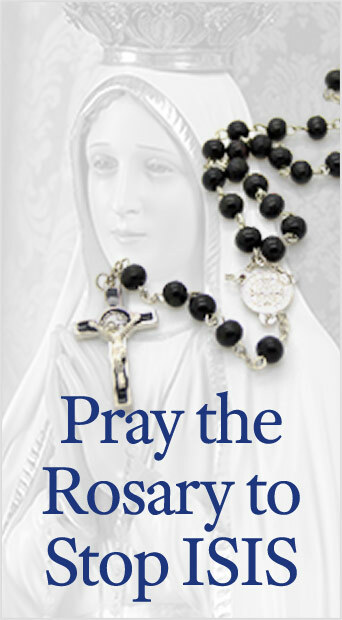 We must pray and act, each according to his ability, that this crisis comes to an end, so that the Church can visibly display the holiness and beauty that she has never lost, nor will ever lose, till the end of time. This entry was posted in Catholic Perspective and tagged Alexander VI, Apostolic, authority, Benedict XVI, bishop, Borgia, Cardinal, Catholic, Church, Clement V, conclave, conservative, defect, ecclesiastic, election, event, faith, fideism, government, Hell, heresies, heresy, hierarchy, holy, Infallible, institution, Julius II, Magisterium, Massimo Franco, naturalism, non praevalebunt, Papacy, Peter, pietist, Pius IX, Pius XII, Pope, power, reform, Rome, Sacrament, Saint, sanctity, Schism, sin, sovereign, spirit, State, supernatural, TFP, Tradition, truth, Vatican, world by Roberto de Mattei. Bookmark the permalink.